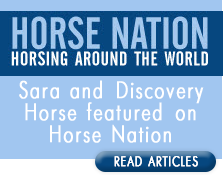 Discovery Horse is a trauma-informed mental health organization set on a farm sanctuary where humans and horses combine their skills to provide a safe place for people to heal. We practice the same principles with our team that we teach and practice with our client. Our services are provided by both professional coaches and licensed therapists who, regardless of specialty or training, become certified through Natural Lifemanship to learn the philosophies our community practices. We consider the animals who call our farm home part of our team as well. 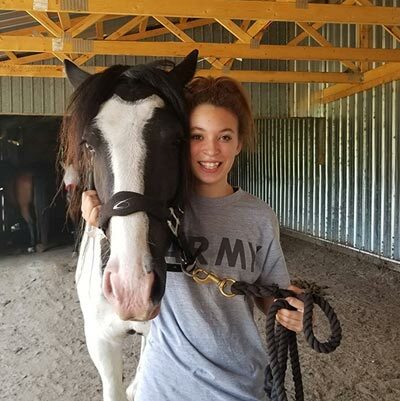 Because our model focuses on building healthy relationships and releasing stress and trauma, we find our animal partners benefit tremendously. Focuses on the neurobiology of connected relationships. Clients engage in developing a healthy relationship with their team of professionals. These relationships become the vehicle for growth and healing as the individual practices consent, safety and connection in all interactions. This trauma informed model based on Natural Lifemanship principles, provides practice and skills for regulation at the limbic level, truly addressing attachment wounds and trauma. Although we work with most demographics we do focus on CHILDREN & FAMILIES. We require a child’s primary caregiver/guardian to participate in the process and oftentimes their own personal work. We believe that in order for our children to heal, we must be willing to heal ourselves and take a close look at the family system as a whole. When working with children in placement or residential care we advocate for a strong team approach in order to provide consistency and safety for the individual. Trauma focused sessions without the assistance of horses. School of Self provides professionally facilitated presentations, trainings, groups and retreats to support individuals and teams who operate in connection-based fields. Clergy, Educators, Executive Directors, Managers etc . .
School of Self provides a powerful experiential process designed to deepen connection to self which in turn strengthens relationships with others. Working in tandem with our team, groups learn AND practice new relational and communication strategies that bring renewal of self, inspire deeper relationships with others, and help connection-based professionals reconnect to the passion they once had for their profession. Both private and public opportunities are available. School of Self offers several public retreats throughout the year. Our true passion lies in working with intact teams looking to cultivate a more cohesive and emotionally safe culture in the workplace. We partner with schools in a multitude of ways. Staff are supported through our School of Self program while students are supported through farm and classroom visits. We serve all ages and offer a variety of engagement opportunities that vary depending on needs and outcomes. Our services vary in depth and therapeutic value. 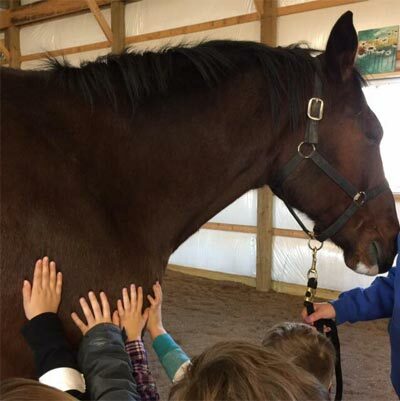 We can provide focused ongoing support groups, intensive trauma-based curriculum or we can provide a 2-hour farm experience that focuses less on education and more on the experiential process of healthy relationships and social-emotional learning skills. School of Self supports the staff through presentations, trainings, support/skills groups, case consultations and individual coaching. When at all possible, we advocate for working with both staff AND students to address the system as a whole, to cultivate an Emotional Safe Community™ from which everyone can connect, thrive and learn. Our Women’s Connection Group is a monthly gathering of women from many walks of life who wish to explore deeper connections with themselves, other women, and the world at large. We gather at Dandelion Farm (home to Discovery Horse) from 6 p.m. to 9 p.m. for our evening group. When the weather allows, we meet in the arena with horses. During colder months, we meet in the living room with the cozy fire and some of Matt’s famous snacks. Sara Sherman and her team are available to speak about the work we do. All of our presentations involve an experiential component. 12-session program designed for youth who have experience with trauma and wish to break the cycle of unhealthy relationships with self, others and the world around them. Referrals from outside agencies are welcome. Please see our referral form.